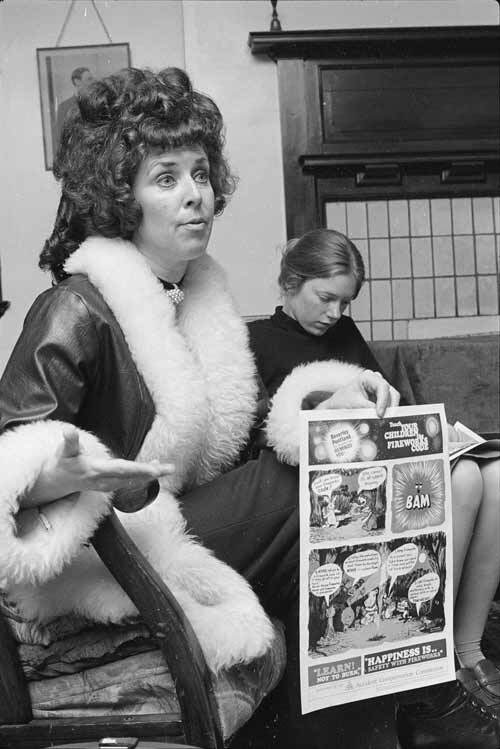 Fireworks safety campaigner Beverley Pentland was known to thousands of 1970s schoolchildren as 'the fireworks lady'. She visited hundreds of schools urging children to handle fireworks with caution. Her call was made more effective through the distribution of comic-like pamphlets and posters designed to appeal to children. This 1976 image shows Pentland holding a poster that states, 'Teach your children the fireworks code'.